Slipshod logic in Creation for Kids? When did evil begin, and is retrograde planet motion still a good argument? DS is a faithful friend of the ministry, though one who often writes with lengthy critiques, reminiscent of Proverbs 27:6. He has graciously consented for this one, along with our response, to be published on the web as a teaching tool. It enables us to cover the meaning of the creation of the heavens and the earth, what a ‘very good’ creation means in relation to the existence of evil, the timing of the creation of the angels and the Fall, and showing that a common astronomical creationist argument is sound. Well, I hope you’ve prayed for patience today — this time I wish to query the children’s booklet “Days 1–7” by Russell Grigg. On page 29 thereof, Mr Grigg tries to date the creation of angels, and assigns them to Day 1, and reckons that Satan’s (or Lucifer’s) rebellion occurred after Creation Week because God said on Day 6 that all He had made was ‘very good’. Okay, it’s for children, but that doesn’t mean we should use slipshod logic. Agreed; for children, we try to use simplified logic. I.e. we use everyday terms and don’t spell out all exceptions, which is a different matter. A mother might tell her four-year-old ‘you grew inside my tummy’—this is not false, but language simplified to the child’s level (‘tummy’ as a broad term for the abdominal region, but not as specific as ‘uterus’). Conversely, ‘the stork brought you’ is an outright error. Also, we might illustrate an issue of operational science with ‘water boils at 100°C’, without going into all the caveats about purity, pressure and avoiding supersaturation. The fact that in Job 38:7 the angels rejoiced when God formed the Earth, does not logically imply that the angels had not existed beforehand. Nothing in that verse requires the angels to be newly created. No, and we don’t claim otherwise. Rather, we use the teachings about Creation Week to constrain the timeframe of their creation (to some time within the six days of Creation Week). In the Old Testament Hebrew, whenever the words ‘heaven(s) and earth’ are conjoined, it is a figure of speech called a merism, in which two opposites are combined into an all-encompassing single concept. Throughout the Bible, this means the totality of creation, not just the Earth and its atmosphere, or our solar system alone. It is used because Hebrew has no word for ‘the universe’ and can at best say ‘the all’. Also, when God said that His creation was ‘very good’, surely He was referring to His PHYSICAL creation—since that is what Genesis is about. Not so. In the Old Testament Hebrew, whenever the words ‘heaven(s) and earth’ are conjoined, it is a figure of speech called a merism, in which two opposites are combined into an all-encompassing single concept. We have examples of merism in English, such as something being ‘open day and night’. This doesn’t simply mean during sunlight and darkness but not dusk; rather, ‘day and night’ means the whole 24-hour day-night cycle. Other examples are ‘far and near’ and ‘hill and vale’. The ‘invisible’ things meant ‘angels’ in context, which was the angel-worship practised by the Colossians (Colossians 2:8). Paul was correcting this by showing that they are among the ‘all things’ that were created by Christ. As Mr Grigg acknowledges, “Genesis does not say” [when He made the angels]. It doesn’t say explicitly, but this is not the same as saying that it doesn’t constrain the timeframe. It does not tell us, because we don’t need to know. And it’s better to stick to Exegesis than to indulge in assertive Eisegesis to fill in the gaps (as no less an authority than C.M.I. regularly tells us!). There is actually a big difference. Eisegesis means reading outside ideas into Scripture. What we are doing is proper logical exegesis, using Scripture to interpret Scripture. Sometimes a general statement is constrained elsewhere by a specific statement. The word for earth in this passage is erets, ארץ. 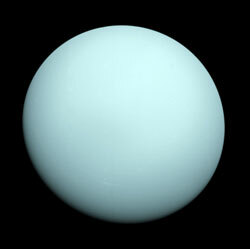 This word refers to the planet Earth in Genesis 1:1, so the angels would be celebrating its creation on Day 1. In this case, they were very newly created, since there was no time before creation week. Alternatively, this word is also used of the dry land that appeared on Day 3 (Genesis 1:9–10), so this might be what the angels were celebrating. Mr Grigg may wish to ponder this:—the Scriptures talk about Jesus as “the Lamb slain from before the foundation of the world”. For he chose us in him before the creation of the world (pro katabolēs kosmou πρὸ καταβολῆς κόσμου) to be holy and blameless in his sight. Here, there is no ambiguity: it’s the writing of the names that was from the foundation of the world. 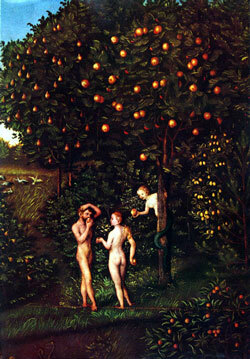 If there had not yet been a rebellion in Heaven, before Day 1 of Creation Week, there would have been no need to warn Adam & Eve about disobedience; no need for a “Tree of the Knowledge of Good and Evil”—evil?—what is “evil”?—and no likelihood of a Fall whereby such warnings were in place when Eden was made. Evil is not a ‘thing’ in itself, even though it is real. Rather, evil is the privation of some good that something ought to have. Murder is a removal of a good human life. Adultery is a privation of a good marriage. Good is fundamental and can exist in itself; evil cannot exist in itself. It is always a parasite on good. When God created moral beings, there was no actual evil. In fact, evil is not a ‘thing’ in itself, even though it is real. Rather, evil is the privation of some good that something ought to have, as Augustine pointed out … . Murder is a removal of a good human life. Adultery is a privation of a good marriage. Good is fundamental and can exist in itself; evil cannot exist in itself. It is always a parasite on good. For example, a wound cannot exist without a body, and the very idea of a wound presupposes the concept of a healthy body. Blindness in a human is a physical evil, because humans are supposed to see (but oysters are not, so blindness is not an evil for oysters). Also, evil actions are done to achieve things like wealth, power and sexual gratification, which the evildoer finds ‘good’ (meaning ‘pleasing’). Evil things are not done as ends in themselves, but good things are. Now, since evil is not a thing, God did not create evil [although He does create calamity as He has a right to do, and this is the correct understanding of Isaiah 45:7]. Evidently, Satan had also misused his power of contrary choice before Adam’s Fall, because he could control the snake as the instrument of temptation (Revelation 12:9). 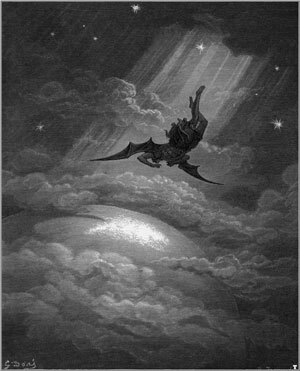 One possible interpretation of Revelation 12:4 is that a third of the angels joined in the rebellion4—they would have become the demons referred to in Scripture. But the fall of Satan and the demons was clearly not during the ‘very good’ Creation Week; it must have been some time after that, but in time to be able to instigate the Fall of mankind. After the Fall, (unredeemed) humans had no ability not to sin. And no need for Jesus to have agreed to go to the cross even before Day 1 of Creation. First, as shown, this is based on a faulty translation of Revelation 13:8. Second, God certainly foreknew the Fall, so there is every reason for Jesus to have agreed to this. When did the Fall happen? We can logically deduce from Scripture that it couldn’t have been during Creation Week, because God called everything ‘very good’ (Gen. 1:31). Nor is there any indication that it happened on the 7th Day, because God blessed this, and there was no hint of any sin or curse on this day. Therefore, the Fall must have occurred after Creation Week. However, the Fall can’t have been too long afterwards, because of the history of their immediate descendants. Adam and Eve were commanded to ‘fill the Earth’; they would have obeyed in their unfallen state, and their physically perfect bodies would have been capable of conceiving immediately, at least within the first menstrual cycle. But the first child they conceived (Cain) was indisputably sinful. Therefore, their Fall must have occurred a very short time, perhaps three to four weeks at most, after Creation Week. Therefore, we can also narrow down Satan’s fall to the narrow window between the blessed 7th Day and the Fall of mankind. God’s “very good” did not stop Him from making the Garden of Eden a place of testing for his perfect human subjects. So, was this because God, BY this stage, had ALREADY had to deal with a Heavenly war? It’s the other way round. Because God declared that creation was ‘very good’, it follows that the heavenly war had not yet occurred. Given the complexity of the matter, I think it is best not to set young minds in concrete on the subject before they are capable of really judging these arguments for themselves—especially via such non-logic as Mr Grigg here applies. Rather, I would guide young minds through the logical steps, in simplified form. I agree with you that it proves nothing. But ‘proving’ things is not the sole purpose of creation teaching for kids; sometimes it is presentation of the facts in a creation framework. Evolutionists could similarly argue that the cough reflex evolved over vast ages, selected for its ability to clear the airways of accidentally inhaled matter. But just because this is a logical possible explanation (overlooking all the problems with evolution for the moment) does not make it illogical to point to this reflex as evidence of outstanding design, created as a mechanism to protect the airways. An alternative explanation does not invalidate a good one. See also a previous feedback, Neuropsychology and evolution, for further explanation and examples of this general principle. b. It takes no account of people who live in far latitudes, (e.g. “the land of the midnight sun”), where the light and dark cycle does not at all correspond with normal human diurnal rhythms. I tend to agree with you here (see also Evenings and mornings, which addresses far latitudes). Of course, an evolutionist explanation of the fit of our diurnal ‘internal’ rhythm to the day-night cycle would have the same problem, in principle. Their answer might reasonably be that the ‘fit’ is far more likely to have been to more habitable parts of the earth than the polar regions, simply because there are far fewer people close to the poles. A creationist would similarly argue that the ‘fit’ (created/designed in this case) is reasonably going to be to the day/night cycle in the overwhelmingly most habitable (and therefore likely to be populated) parts of the earth. On the same page 18, Mr Grigg wonders — as I once did — why some of the planets have “retrograde” rotation compared with most others in our Solar System. Since my wondering, I have now heard the scientists attribute this to the planets having been subjected to major catastrophic collisions with large bodies, such as asteroids, sufficient to topple them over, i.e. ‘North’ pole becoming ‘South’ pole. Their angular momentum keeps them spinning, but because they are “upside down” they spin in the anti-sense direction. This is a misunderstanding. Angular momentum (L) is a vector quantity, where the vector direction is the axis of rotation as per the right hand rule. Toppling a planet would require a huge change of angular momentum, because the new direction would mean an angular momentum vector that was the negative of the previous one. So the change in angular momentum would be 2L. Any idea that an asteroid caused the entire tilt of Earth’s axis simply can’t be sustained. At most, even with an asteroid as big as our largest known one (Ceres, 950 km diameter), it could not change the axis by more than a degree or two. Indeed, it is very hard to change a planet’s rotational axis, because it acts as a gigantic gyroscope. Creationist physicist Dr Keith Wanser (see interview) gave an interesting talk at one of our conferences in the USA in 2003, where he calculated that any idea that an asteroid caused the entire tilt of Earth’s axis simply can’t be sustained. At most, even with an asteroid as big as our largest known one (Ceres, 950 km diameter), it could not change the axis by more than a degree or two. Note also that Ceres dwarfs even the alleged dino-killer that was supposed to be only about 10 km across, and since the mass depends on the cube of the diameter, Ceres would be 857,000 times more massive. 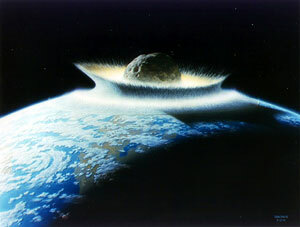 As we have pointed out, there are problems with the dino impact theory, but if a 10-km body would be so devastating, it’s a mere firecracker compared to what a 950-km body would do to Earth’s environment. Yet even such devastation would hardly change the earth’s axis at all. And this should not be surprising because Earth is over 6000 times more massive than Ceres. You could work it out yourself: the rotational angular momentum of the earth (L0) is given by its angular velocity (ω) times its moment of inertia (which to a good approximation is given by the formula for a solid uniform sphere I = 2/5 Mr2); angular momentum of an asteroid striking a glancing blow at 30 km/s to the pole = mvr. By the law of conservation of angular momentum, if the AM of the asteroid were totally transferred to the earth, the new AM vector (Lf) must be the sum of the AM of the colliding asteroid and initial AM. If the AM change (ΔL) involves only changing the axis, you could draw a vector diagram, adding the two AMs to give the new AM (Lf), forming a triangle (see diagram, below right). As the AM vector of the asteroid (ΔL) will be perpendicular to the AM vector of the earth (L0), it will amount to a right-angled triangle, where the hypotenuse is the new AM of the earth (Lf). Thus AM(asteroid)/AM(earth, initial) (ΔL/L0) ratio will be the tangent of the angle of the change. Evolutionists once tried to explain this away by proposing that Venus rotated prograde at first, but it had a bulge on which gravitational tidal forces on Earth could act, and turn the rotation around. Aside from the weakness of tidal forces, which decrease with the cube of the distance, it is now known that Venus is even rounder than Earth so there is no bulge on which to act. When it comes to explaining the tilt of the ‘ice giant’ Uranus onto its side, some astronomers have proposed a collision, but such a collider would need to have been as massive as the earth. But where would it come from, given that at this distance in the putative solar nebula, there would be barely enough to make the planets we find? Such a collision would also have to predate Uranus’ moons, since they orbit Uranus’ equator; a collision couldn’t have changed both Uranus’ tilt and its moons’ orbits. When it comes to explaining the tilt of the ’ice giant’ Uranus onto its side, some astronomers have proposed a collision, but such a collider would need to have been as massive as the earth. But where would it come from, given that at this distance in the putative solar nebula, there would be barely enough to make the planets we find? Well, that’s the hypothesis; I’m no expert, but it makes sense to me. Dr Brunini continued with another idea, which alone shows that you’re too ready to accept the collision model. Alternatively, they could have come from an external twist that affected the orientation of the Solar System plane; but in this model, the outer planets must have formed too rapidly, before the event that produced the twist. Moreover, the model cannot be quantitatively tested. Here I show that the present obliquities of the giant planets were probably achieved when Jupiter and Saturn crossed the 1:2 orbital resonance during a specific migration process: different migration scenarios cannot account for the large observed obliquities. The existence of the regular satellites of the giant planets does not represent a problem in this model because, although they formed soon after the planetary formation, they can follow the slow evolution of the equatorial plane it produces. This is not to knock Dr Brunini’s interesting idea, albeit motivated by evolutionary presuppositions, since proposing and testing new ideas is part of science. 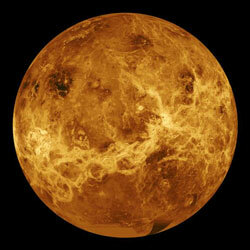 But it shows that there are more problems with the axial tilts of planets than you think. Despite Mr Grigg’s (strange) idea that Jupiter protects Earth from collisions, even Earth has been battered by pretty large objects in the past. But think of the objects that are captured, such as the Shoemaker–Levi comet. Jupiter is 2½ times more massive than the rest of the planets combined (the June issue of Creation magazine has an article about Jupiter). 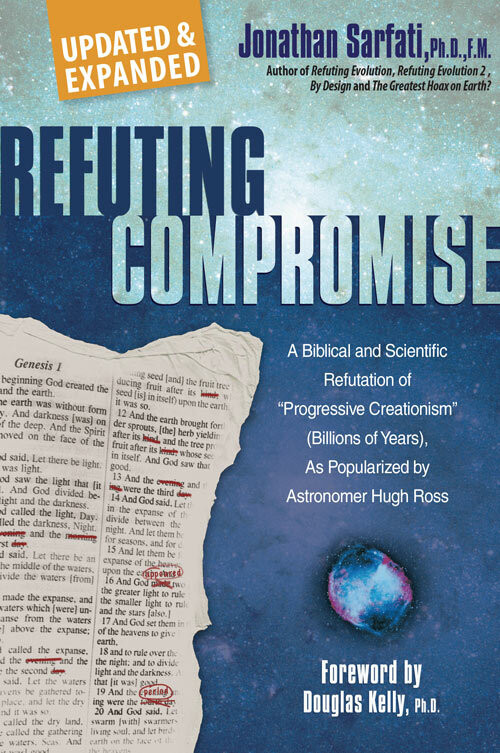 So, the “retrograde rotation” fact does not appear, to me, to offer support for Creationism. Perhaps it’s an argument Creationists should no longer use? Our Don’t Use list is certainly quite large, and it’s the eighth most accessed of all CMI’s web articles. But as shown above, there is no need to add this to it. Regardless, my best wishes to all of you. God bless you all. See Leupold, H.C., Exposition of Genesis, 1:41, Baker Book House, Michigan, 1942, who cites similar usage in Jeremiah 10:16; Isaiah 44:24; Psalm 103:19, Psalm 119:91; and Ecclesiastes 11:5. Return to text. See for example Bible Knowledge Commentary, edited by John Walvoord and Roy Zuck of Dallas Theological Seminary. Return to text. MacArthur, Ref. , p. 203. Return to text. MacArthur, Ref. , p. 211. Return to text. Brunini, A., Origin of the obliquities of the giant planets in mutual interactions in the early Solar System, Nature 440:1163–1165, 27 April 2006 | doi:10.1038/nature04577. Emphases added. Return to text. Brunini, A., Retraction: Origin of the obliquities of the giant planets in mutual interactions in the early Solar System, Nature 443:1013, 26 October 2006 | doi:10.1038/nature05298. Return to text.